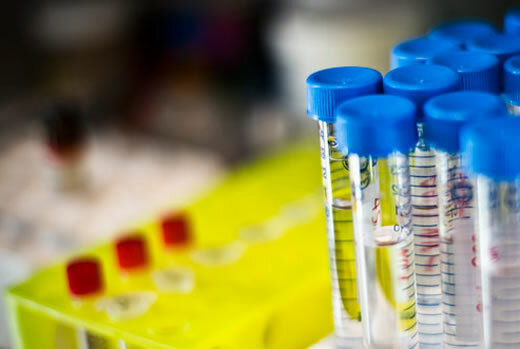 Funding to Emory investigators during the past year included research in organ transplantation, Parkinson's disease, malaria, autism, antibiotic resistance, HIV prevention, and the human exposome. Emory University's Dr. Raymond J. Dingledine discusses the impact sequestration budget cuts could have on medical research at Emory and nationally. Researchers at Emory University received $507.1 million from external funding agencies in fiscal year 2013. Federal agencies awarded nearly $333.8 million, or more than 65 percent of the total, led by the National Institutes of Health (NIH), with $287 million in awards. NIH funding represented 86 percent of total federal dollars awarded to Emory and more than 56 percent of all funding received. While Emory's researchers continued to attract significant funding in a challenging and highly competitive environment, federal funding for research has continued to decline. In fiscal year 2012 Emory received $520.7 million in funding, including $350.9 million in federal funding, with $299 million from the NIH. The five percent sequester cut imposed on federal research funding this year translated into a loss of approximately $17 million to Emory's researchers in fiscal year 2013, with additional cuts expected in the coming year. "We feel fortunate, through our excellent faculty, to have maintained a high level of funding this past year despite the numerous financial challenges facing our nation," says Emory President James Wagner. "However, given the now multiple effects of sequestration, the partial government shutdown and the looming battle over the debt ceiling, we know that tremendous challenges lie ahead in maintaining our research momentum. We remain optimistic that research, and its lasting benefits for scientific advancement and the health of all, will remain a high priority for our nation." Researchers in Emory's Woodruff Health Sciences Center (WHSC) received $474.4 million in FY13, or more than 93 percent of the University total, with $312.3 million in federal funding, including $278.5 million from the NIH. The WHSC includes schools of medicine, public health, nursing, Yerkes National Primate Research Center, Winship Cancer Institute and Emory Healthcare. Emory University School of Medicine received $330.5 million, or approximately 64 percent of the FY13 total dollars awarded. The Rollins School of Public Health received $63.9 million, Yerkes National Primate Research Center received $64.8 million, and Emory's Nell Hodgson Woodruff School of Nursing received $9.3 million. Researchers in Emory College received $27.7 million in funding. Past research support to Emory investigators has led to life saving discoveries in traumatic brain injury, Parkinson's disease, therapies for HIV, better drugs for organ transplantation, vaccines, treatments for depression, and devices for cardiovascular disease. "Support for biomedical research is essential for health advances leading to better prevention and treatment of challenging diseases," says David S. Stephens, MD, vice president for research in Emory's Woodruff Health Sciences Center. "We are very proud of our faculty and their ability to attract research funding based on their excellent past results and the promise of their research proposals. Current funding challenges, however, are seriously threatening the potential for progress in making life saving medical discoveries. "The negative effects of funding constraints may not be entirely clear immediately, but research requires sustained funding, and the results of slowdowns, administrative uncertainty, and continued reductions in funding will be cumulative and could have lasting effects on advancements in health." The value of biomedical research extends well beyond new cures and disease treatment and prevention, says Stephens. In Georgia, nearly 19 high-paying jobs are generated per $1 million in research funding. And university research discoveries often are translated into commercial applications that positively impact the economy while offering medical advances to patients more quickly. $20 million from the National Institute of Allergy and Infectious Diseases to develop more effective, less toxic drugs for organ transplantation, building on groundbreaking Emory research that already has significantly advanced the transplant field. $4 million from the National institute of Environmental Health Sciences to create the first exposome center in the United Sates. The grant establishes the HERCULES Center at Emory, with partners at Georgia Institute of Technology, aimed at a holistic study of all the exposures encountered by humans in food, water, and medications and through physical activity and daily stressors, and in home, office, and outdoor environments. $11.9 million to study the HIV epidemic among women in the Southeast as part of a recent expansion of the Women's Interagency HIV Cohort Study (WIHS). products, while also developing new models for teaching and research. $4 million through the U.S. Department of Veterans Affairs for the Veterans Affairs Nursing Academy Partnership (VANAP) to fund 10 additional faculty positions at the School of Nursing and increase Emory's undergraduate nursing class by 100 students over a five-year period. $1.8 million from the National Institutes of Health to Emory's Center for the Study of Human Health, for research into an extract from a tree common in forests across Europe and how it might fight antibiotic-resistant Staphylococcus aureus (MRSA). Up to a $19.4 million contract from the National Institute of Allergy and Infectious Diseases to a malaria research consortium including Emory, the University of Georgia and the Georgia Institute of Technology. The Malaria Host-Pathogen Interaction Center (MaHPIC), with contract administered by Yerkes National Primate Research Center, will use systems biology to study how malaria parasites interact with their human and animal hosts. $9.5 million to Yerkes National Primate Research Center to establish a Silvio O. Conte Center in Neuroscience Research to study the brain chemical oxytocin, with the goal of developing new treatments to improve social cognition in autism. $5.5 million from the National Center for General Medical Sciences to establish a new National Center for Functional Glycomics at Emory. The glycome, which is analogous to the genome and the proteome, includes all the complex carbohydrates in the body. The new center will study the relationship of the glycome to physiology and disease. $900,000 from the National Institute of Neurological Disorders and Stroke to the Center for Biomedical Imaging Statistics at Emory's Rollins School of Public Health. The grant will fund the center's biomarker research in Parkinson's disease to identify non-invasive imaging measures to detect changes in brain function and biochemistry. $3.2 million from the Centers for Disease Control and Prevention to Emory School of Medicine's Jane Fonda Center, partnering with the Rollins School of Public Health and Grady Health System's Teen Services Clinic, to help prevent unintended pregnancies and sexually transmitted diseases in young African-American women. $1.5 million from the Health Resources and Services Administration of the Department of Health and Human Services to the School of Nursing to further refine and spread the Accountable Care Unit model across Emory Healthcare. Staff nurses will be trained to lead interdisciplinary teams and strengthen the collaborative practice model in acute care inpatient units. A multi-million contract from the National Institute of Allergy and Infectious Diseases for Emory's Vaccine and Treatment Evaluation Unit to conduct clinical trials of vaccines for emerging infectious diseases.